Growing your own food is one of the smartest things that you can do. Not only can you save money on your organic food bill, but you will also be doing something that is healthy and positive. Before you start you are going to have to have a plan, as it really does make a big difference the way a garden is planned out, in terms of its success and productivity. 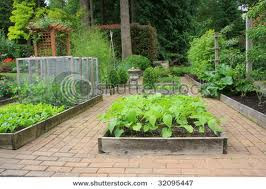 The following are some tips for planning out your vegetable garden. Deciding what you want to grow is one of the most fun parts of the entire process, so make a list with all of your favourites on it. It’s a good idea to plan in conjunction with other green thumb friends, so that you can coordinate who’s growing what, and therefore, have a huge variety and supply between you. Be sure that what you want to grow are varieties suitable to your kind of climate. Get SeedsIf you don’t already have the seeds that you want, it’s a good idea to start keeping them from any organic produce that you buy. If they are organic they will work just fine, so save your seeds and dry them out, before bagging and labelling them, and putting them aside. Obviously some plants won’t give you their seeds this way, so you may have to look into finding places to buy seeds for some of your crops. Your local nursery will have seeds as soon as they are available, and most places selling seeds have pretty decent websites, so you can usually just order whatever you need online. Some plants need to be started months before you plant them as seedlings, so make sure you have all your seeds early. Have a look at potential areas for your garden and watch to see how much sunlight they get throughout the day. If an area gets no light, pick another place for your garden. Depending on your space, you may just need to move your garden area slightly to have way better sunlight. Keep in mind how different plants grow, as you don’t want some to be blocking sunlight to the others. Find out which plants grow well near each other, and also which ones deter insects and pests, as you may need to add an extra few plants or flowers, to help protect all of the others. When planning positions, keep in mind how you will be able to access the plants once everything starts to grow, as you will need to be watering, weeding, harvesting, etc. If you have any extra garden space to fill, ask your partner what their favourite flower is, and plant some so that you have a good supply to be giving them. CompostIf you are gardening organically, and you should, you will need active compost in order to feed essential nutrients into the soil, so if you don’t have one yet, start a compost pile or bin. Essentially, you will be creating a mix of organic waste from your kitchen and the garden, mixing and watering it regularly, and creating a substance rich in everything that your soil needs. Ideally, you will want to have had your compost going for at least a few months before you plant your garden.